Slurry pipelines are commonly used to transfer mine residue from the processing plant to the tailings storage facility. Historically these pipelines were designed to operate at low solids concentrations, however as dewatering technology improved and solids concentrations increased, residue disposal systems have become significantly more complex. Designing an effective residue and tailings disposal solution requires a thorough understanding of the complete system, irrespective of whether the system is transporting dilute or high concentration slurries. This includes the placement requirements at the tailings storage facility, the pump and pipeline options due to changes in the pipeline route over the life of the storage facility, and the dewatering of the tailings, so as to achieve a design solids concentration that results in the optimal life of mine cost. High density paste and thickened tailings disposal systems can potentially offer significant water savings compared to conventional systems, as well as improved long term closure considerations of the tailings storage facility. However, the suitability of a high concentration tailings system is highly dependent on the material properties, as these influence the choice of dewatering technologies, pump selections, as well as the placement of the materials. These systems have particular challenges due to the often non-Newtonian properties of the high density slurries and require a proper understanding of the effect that these materials have on dewatering, pumping and placement. We have designed and implemented numerous tailings systems throughout the world. Our capability includes filtration, thickening, cycloning, pump and pipeline transport, choke stations, gravity launder transport, deposition arrangements (including jacking header systems) and water recovery from the tailings facility. The key to successfully implementing a reliable tailings system is close integration of the de-watering, classification, transport and deposition processes as well as consideration of the wide process design envelope associated with the process plant variability. Detailed design and commissioning of tailings pumping, cyclone and return water system for a new centreline raised tailings storage facility and planned concentrator expansion from 50 000 t/d to 113 000 t/d. The project includes a new tailings pump station, improvements for an existing tailings pump station, reclaim and seepage return water systems and a jacking header with a cyclone deposition system. The detailed design and commissioning of a booster pump station to transport 35 000 t/d of kimberlite tailings to the storage facility. 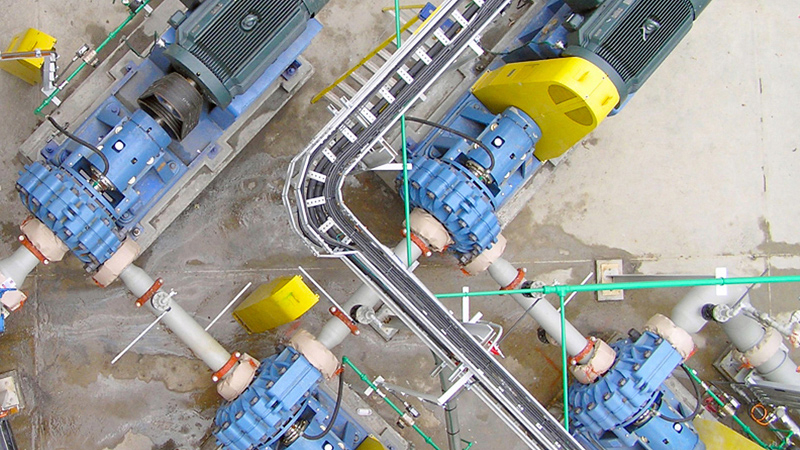 Six pumps in series per pipeline deliver tailings via 450 mm diameter pipelines to the tailings dam. The total installed power is 11.4 MW. The detailed design and engineering of the upgraded tailings pump station to deliver 14 400 t/d of tailings to a new disposal facility via four 4 km pipelines. Bankable feasibility study for the slurry transport of reclaimed mine tailings from various facilities to a central treatment facility utilising up to five 35 km pipelines each transporting 22 000 t/d. The detailed design of a tailings delivery system to transport 118 000 t/d over 12 km in two 600 mm pipelines with two operating pump trains each equipped with four centrifugal pumps in series. 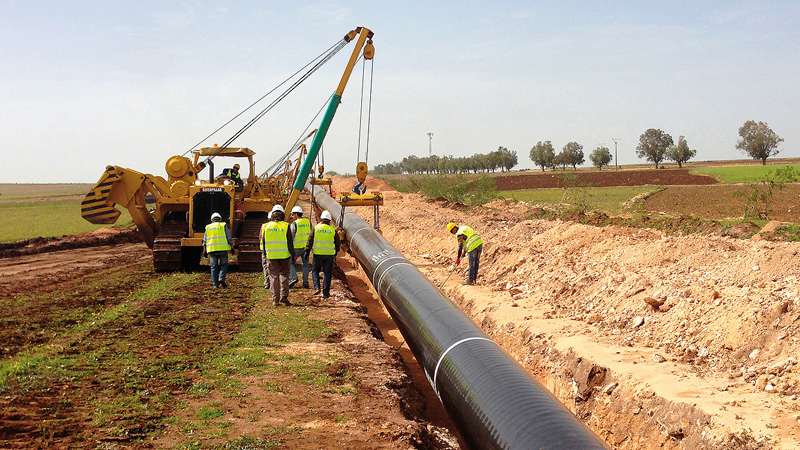 The project included the front end design of the 12.6 km pipeline system, including slurry test work, steady state hydraulic design, pressure transient analysis, PFD and P&ID development, control philosophy development, pipeline stress analysis and thrust anchor design, detailed design of the choke station and assistance with commissioning. Paterson & Cooke were responsible for the detailed design and engineering of the first thickened tailings disposal pumping system in South Africa at De Beer’s Combined Treatment Plant in Kimberley, South Africa. Three high pressure positive displacement pumps, with a discharge pressure of 12 MPa, transfer thickened kimberlite tailings more than 4 km to the disposal facility. 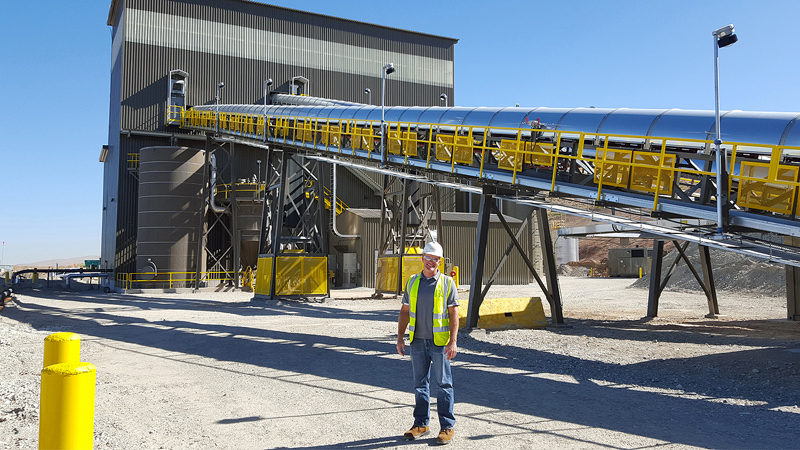 Mineral sands operations typically produce a fine and coarse waste stream, and the material behave very differently. Paterson & Cooke completed the detailed design and commissioning of the coarse and fine disposal systems. The fine residue pump and pipeline system transports a thickened viscous product more than 6 km, using three pressure positive displacement pumps with a discharge capacity of 8 MPa. The sand system utilises several centrifugal pumps in series to deposit sand. We have over 25 years of slurry pipeline design and mineral processing experience in Long Distance Slurry Pipelines, Tailings, Mine Backfill, Slurry & Process Test Work, Process Engineering, Specialist Engineering, Marine & Coastal Engineering, Site Services and Plants & Products. © 2019 Paterson & Cooke All Rights Reserved.